Need some Yoga Inspiration? 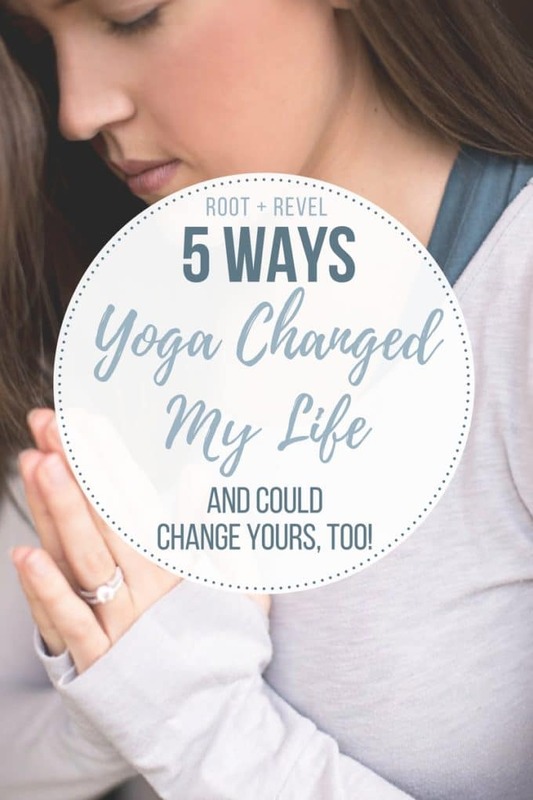 Here are 5 Ways Yoga Changed My Life (And Could Change Yours, Too!). From mind, body and spirit yoga is great for weightloss, anxiety/depression, thyroid, hormone balance, digestion and more. 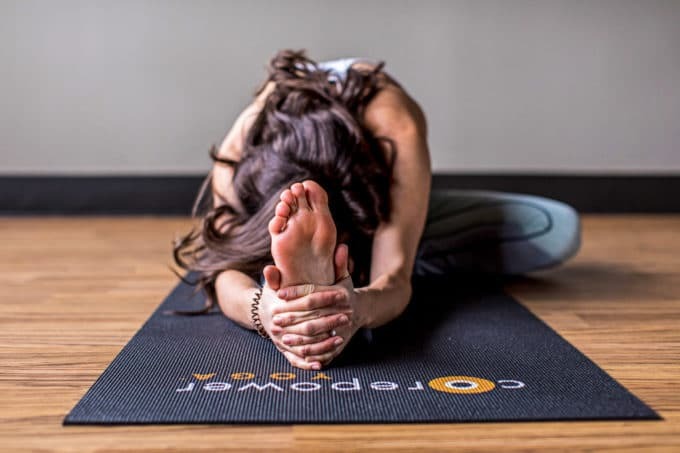 See why I’m addicted to CorePower Yoga’s classes here. This is the story of how yoga changed…wait, make that saved, my life. I’ve shared with you before some of my struggles with anxiety. To make a long story short, I was diagnosed with abdominal migraines, a rare disorder that causes recurrent, episodes of severe, debilitating nausea. Yeah, it’s super fun. It started on my wedding day, and continued to happen over a dozen times throughout the next three years, always when I was happy and excited about something: a vacation, a special dinner, an exciting event, a party–you know, all the times that bring us joy. And I was sick. Eventually, it happened enough that I started avoiding anything that would make me happy, afraid that I would get sick. I traveled less, I went out to eat less, I spent less time with friends. In truth, I started becoming a bit of a hermit, afraid to even leave the house at times. It wasn’t rational, which was perhaps the hardest part for my logical mind to accept. I knew I was going to be okay, and yet I couldn’t stop worrying. As you can imagine, this led to a lot of sadness. I was living in fear, avoiding life, constantly worried that I was going to get sick, which ultimately became a vicious cycle… I could worry myself so much that I could bring about the nausea just by thinking too much, spiraling mentally out of control, spinning down the rabbit hole and literally making myself physically ill. My brain would. not. shut. up. Fast forward to March 2016 and I had my first panic attack. I was on the way to the airport, heading out to Palm Springs for a week of sun and tennis with my family and suddenly I couldn’t breathe. I felt like maybe I was having a heart attack, my pulse was racing so fast and I couldn’t seem to catch my breath. I pulled over to the side of the road, called my mommy (because who else do you want when you don’t feel good?) and had a complete freak out. What was wrong with me?! I was excited to go to Palm Springs. I was happy…but I was also worried that I’d get sick and ruin the entire trip for everyone, embarrassing myself and my husband, the poor guy who unknowingly married such a nut job. Ok…now for the good part. I was so wrong. I was so in my head and eventually, I found my way out. I’m proud to report that since that fateful day last Spring, nearly a year ago, I’ve only had one episode and it was very mild. Today, I’m almost to the point where I don’t even worry about getting sick anymore. I no longer avoid things that will make me happy, and I feel like I’ve finally got my life back. So how did I do it? Well, it started with seeing a holistic psychiatrist who uses a combination of talk therapy, cognitive behavioral therapy and Zoloft to manage my anxiety and debilitating perfectionism. But the most important part, and easily the thing that has helped my mind and body the most, is yoga. After that fateful panic attack, I decided to join a yoga studio and challenged myself to going to a one-hour yoga class every single day for 30 days. Somehow, I managed to meet my goal, and my life has never been the same. As someone who has a brain that never turns off, I was intimidated by yoga at first, unsure that I’d be able to be still and clear-headed for more than 10 seconds. As it turns out, yoga is the best way I’ve found to calm my mind and lessen anxiety. When I’m in class, the only thing I’m thinking about is the pose I’m currently doing. Yoga has really taught me how to be in the present moment and for that I am eternally grateful. As a perfectionist control freak, yoga has been amazing at helping me learn to let go. In fact, I’ll never forget one of my early classes when a yoga teacher used row boat imagery to help us with this concept. Basically instead of constantly paddling upstream, fighting against yourself, how much more enjoyable is the ride when you just let go and allow the current take you. As I’ve learned how to let go of the things that don’t serve me (worrying I’m going to get sick doesn’t prevent me from getting sick, for example), I’ve also learned acceptance: accepting who I am (I no longer have that nagging voice telling me I’m not good enough), accepting where I am in this moment, in this stage of my life, and accepting the things I cannot change (the serenity prayer is cliche for a reason–it works!). Not only has regular yoga practice strengthened my muscles, but yoga has boosted my confidence. Whether it’s the confidence to try a new and difficult pose, to take a chance in my career or my life, or even simply to be confident in my body, assured that it’s healthy and will serve me well, yoga has given me courage I never thought possible. I’m so motivated now to take risks and try new things, and each time I master a new pose, I get a confidence boost that extends far past my mat. When I first started practicing yoga, I was at war with my body. I felt it had betrayed me by always getting sick and making me so anxious. But I started to be grateful for what my body could do in class–WOW! Can I really do a headstand? WHOA! I’m totally nailing crow pose! YEEHAW! I just mastered one legged chaturanga–and that gratitude I felt just for having a body that could stand, walk, stretch and move soon expanded into gratitude for what an amazing life I have and what an incredible world we live in. It’s not to say I’m now some bubbly cheerleader who can’t stop smiling, rather that I have more faith that the worst case scenario isn’t going to happen, more trust that the universe has my back, and generally more positivity and happiness in my life. Though most of the benefits I just mentioned are mental and emotional, there is no doubt that I have seen crazy physical improvements in my health. For starters, now that I’m less stressed and anxious, my physical symptoms of racing heart and mind, nausea and jitters have disappeared. Likewise, my thyroid is more active, which has boosted my energy and also improved my digestion (yoga also eases constipation and helps improve your bowels). 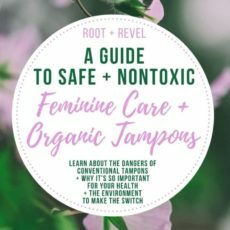 And my hormones are more balanced, which has regulated my cycles, stabalized my mood, and cleared up my skin. And finally, I’ve seen some superficial improvements too–for the first time in my life, I have seen a hint of abs in my stomach (stronger muscles means more protection from injury). I’ve lost weight (no surprise since yoga lowers cortisol, adrenaline and blood sugar levels, which lessens depression/anxiety, blood pressure, and insulin resistance, while boosting metabolism). I am more flexible than I was at 13 when I was a competitive cheerleader (increased flexibility also reduces back pain and body aches). I’m stronger than I was when I did heavy HIIT workouts with weights every day before I got married. And I am more balanced, both when I’m standing on one leg or supporting my entire body’s weight on my arms, and in my heart and soul. So there you have it: 5 Ways Yoga Changed My Life. Know that these changes didn’t happen all at once. Yoga isn’t a quick fix or a magic pill or an overnight transformation–but if you let it, if you practice consistently, yoga will transform you, your body, your mind, and your spirit. 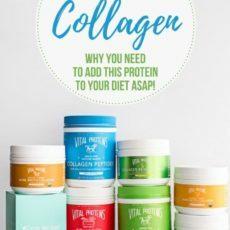 Now before we close this post out, I wanted to share with you some of my yoga favorites, from the best yoga pants to my favorite yoga studio. When I first started going to yoga classes, I joined ClassPass so that I could try out a bunch of studios and find the one that best suited me. After two months it was clear that I belonged at CorePower Yoga. Oh how I love CPY, let me count the ways. First: they have 170 locations all over the country, so no matter where I am (home or traveling) I can almost always find a studio nearby to practice. Likewise, my home studio (I go to the one at Ponce City Market) offers classes seemingly every hour from 6:30 am to 8 pm, so I can always find a time that works for my ever-changing schedule. I also love the variety of classes offered (there are two yoga levels, a super hot and slow class called HPF and a sculpt class with weights) and the teachers are all incredible–beyond friendly, so supportive, brave, enlightening, inspirational and kind. Anytime Taylor, Hillary, or Karen are teaching, I try to make it. 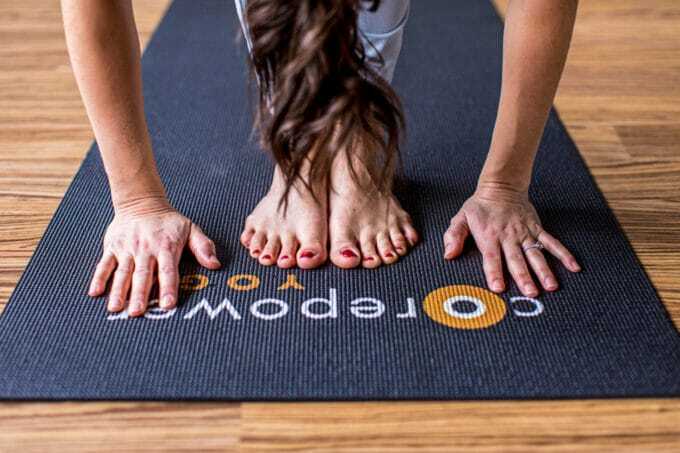 But perhaps the best part about CorePower Yoga is that you don’t have to sign up for classes–and then get charged if you have to cancel. You just show up whenever you want, as often as you want (you get unlimited classes with their Black Tag Membership), and take whatever classes you want. No hidden fees. No cancellation charges. Just good soul-nourishing yoga. Oh, and did I mention their studios are spacious with plenty of mirrors so you can check your postures, large locker rooms with showers, and if you forget a mat or a towel or water bottle, you can rent one at the studio. Since I joined CPY in April 2016, I’ve been to 92 classes. My unlimited membership costs just $124 per month, meaning I only pay $12.80 per class. And it could be even cheaper if I went more often–currently I shoot for 3 days per week. 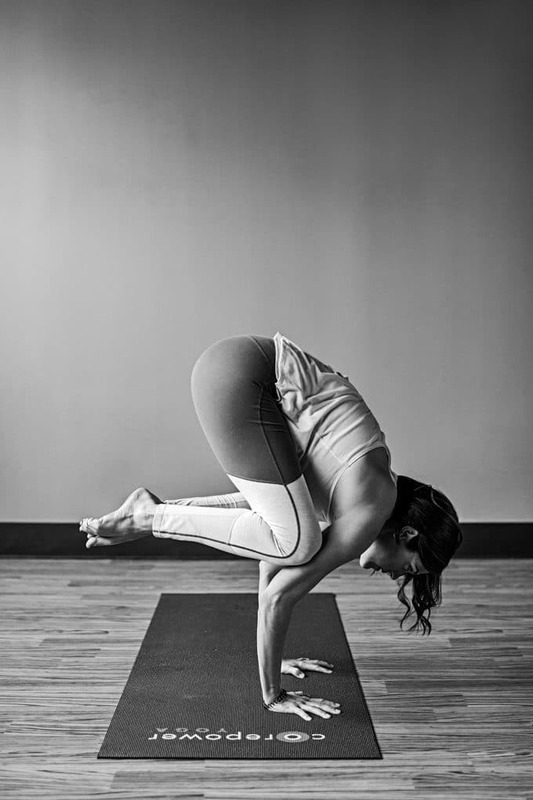 If you haven’t tried CorePower Yoga yet, do yourself a favor and find a studio near you. You even get your first week free! After that, your first month of unlimited classes is just $89. I love this super thick Reehut yoga mat I bought on Amazon (it comes with a strap!). And because I do exclusively hot yoga where I sweat A LOT, I use a few different yoga towels to keep from slipping and sliding around on my mat.YogaRat’s towels are the perfect size, their grippy, thin, absorbent, and they’re relatively affordable at just $21.99. For a splurge, I love my Yogitoes Yoga Mat Towel, too. To clean my yoga mat, rather than using toxic chemicals, I opt for this natural Manduka Organic Yoga Mat Cleaner, which I use after every yoga session. 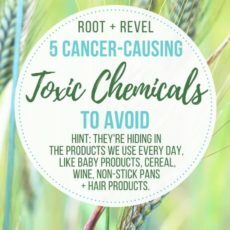 It’s made with aromatic organic essential oils. Fabletics makes my favorite yoga clothes in general (I love their capris and leggings and I’ve got over a dozen of their tops)…you can get your first 2 pairs of leggings for just $24. Zella by Nordstrom has super soft yoga pants in fun patterns and textures, which I buy whenever they go on sale. Old Navy Active makes incredibly soft and affordable yoga tanks and jackets with thumbholes (my favorite). TJ Maxx has the best selection of supportive sports bras for under $20. I hope this post provided you with some yoga inspiration to start your own practice. Your body, mind and spirit will thank you! Kate – I am so happy for you that you found yoga! What a blessing to now get to relax and enjoy your life without fear or anxiety. YAY!! I love yoga too and have recently been doing a specific practice designed to support the thyroid. Can’t wait to see how I feel in a few months with consistent practice!